Who let the air out of the balloon? This a great question from Seth Godin. Particularly appropriate for marketers but also important to be understood by the digital executive. There are huge implications to this in terms of how we market ourselves, the design and execution of our customer experiences and the digitally connected consumer. So … who let the air out of the balloon? Answer … there is no balloon any longer. A few generations ago, Gone With The Wind played at the only movie theater in town–every night for a year. Forty years ago, books stayed on the bestseller list for a year or more. Fifteen years ago, the front page ad on Yahoo was sold out for years in advance. Buying the one and only ad on the ‘front page of the internet’ was a no-brainer, a bargain at any price. Today, of course, there isn’t a front page you can buy an ad on. No spot next to the cash register at the biggest chain of bookstores, either. 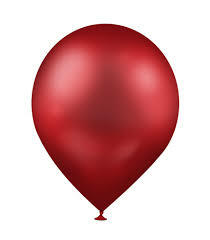 via Seth’s Blog: Who let the air out of the balloon?. The cool thing is that this makes everything easier and harder! All the usual ways of doing things have changed so we must “lean in” and create more, but, there is room now to do just that. The little guy – who could never have bought that ad on the front page of the internet – can now create viral content and conversations that get them noticed in ways we could never imagine before. It is the best of times if you are willing to learn something new – every month! Keep up the good work Michael Wilson – and keep us thinking.